CSC 385. 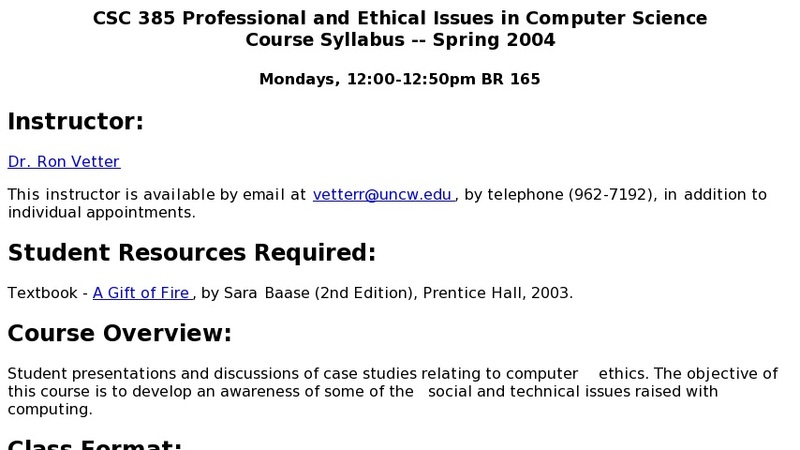 Professional and Ethical Issues in Computer Science (1) Prerequisite: Junior or senior standing in computer science. Student presentations and discussions of case studies relating to computer ethics.